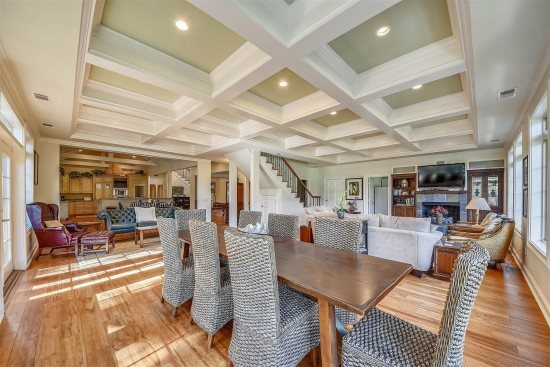 Chic, resort style, 5 bedrooms, 3.5 Baths in Shipyard! Picturesque is the word that best describes this delightfully decorated resort-style, 5 bedrooms, 3.5 baths, single home located in the tranquil Shipyard community. 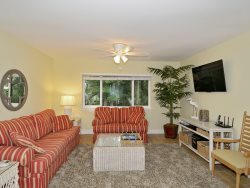 Just an easy bike ride to the beach, this home is ideal for a summer family vacation, or a weekend trip with the girls, a reunion with the boys, or even a workplace retreat. Sparkling hardwood floors in the foyer leads to the kitchen just off the right. The kitchen has all the fixings to create scrumptious vacation meals, from all- white appliances, granite countertops, plenteous cabinetry space, and even a breakfast nook for playing a game of poker while waiting for dinner to be ready; for additional seating two additional bar chairs hug the island. The formal dining room has seating for 6. Just off the kitchen is the sitting room with two chairs and matching ottomans, the perfect room for relaxing and reading a magazine, entertaining friends, or simply practicing Pilates. An adjacent door leads to the spacious living room with a reclining couch, two reclining armchairs, a decorative fireplace, a flat screen television, a table with four chairs, and a wall of glass overlooking the picturesque backyard. The backyard is sure to be everyone’s favorite hangout spot since it features a private pool and an open pool deck equipped with chairs. It is considered the perfect place for lounging and reading a book, sun bathing, or watching a golf game as players play on the Galleon Golf Course. If you wish to dine al fresco, there is also a table with 6 chairs on the pool deck. On the main level of this home is the first master, housing a king-size bed, a flat screen TV, its own private bathroom with a garden tub and a walk-in shower, and even provides access to the pool deck and the hot tub, so on a warm summer night, slide into the hot tub and allow the jets to blow away the worries of daily life. On the 2nd level of the home are the 3 family/guest bedrooms and another master bedroom. Bedroom #2 offers hints of red and bedroom #3, bathed in cheerful green; each have a queen-size bed and a TV. Bedroom #4 has blue and red bedding on its two twin beds and a TV. Bedrooms 2, 3, and 4 all share a bathroom. The final bedroom is the master, with a king-size bed, a stylish reclining chair with an ottoman, and its own bathroom with a shower/tub combo. 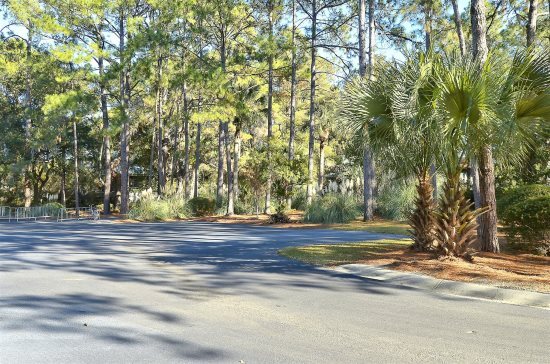 This is one perfect place for everyone to spend their Hilton Head vacation. Happy Vacationing! Had a great time. Great value.